Information found on this website is maintained and provided for the convenience of the user. While every effort is made to keep such information accurate and up-to-date, the Greencastle/Putnam County Development Center Inc., does not certify the authenticity of any information that is provided on this website. 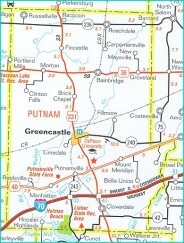 Under no circumstances will the Greencastle/Putnam County Development Center, Inc., be liable for any actions taken or omissions made from reliance on any information contained herein from whatever source nor will the Greencastle/Putman County Development Center, Inc., be liable for any other consequences from any such reliance. We recommend that you contact economic_development @greencastle.com should you have questions. The Greencastle/Putnam County Development Center, Inc., uses link and search capabilities to navigate publicly available information from many websites that are not part of our own website. The privacy policies and procedures described here will most likely not apply to those external sites. We suggest contacting these sites directly if you want information on their data collection and distribution policies. The Greencastle/Putnam County Development Center treats every inquiry with confidentiality. Information is only shared with the permission of the client. In some cases, only the very minimum details of information are shared to meet a specific request of a client. For example, electric power details may be shared with a utility to obtain a confidential rate quote. The Greencastle/Putnam County Development Center has a policy of not releasing information to any media source unless prior approval is obtained from the client.